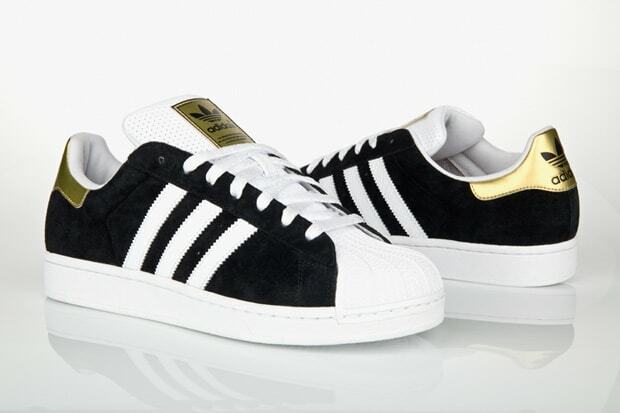 Designed in the good ol&apos; US of A, adidas Originals&apos; new Superstar II features a dark suede upper, perforated tongue, and nicely contrasted gold branding added to the tongue and heel. Don&apos;t worry—it&apos;s okay to be a little flashy on occasion. Aid in your country&apos;s "strengthening" economy by copping these through DTLR.